The end of the CAPTCHA is nigh — and very few tears will be shed for them. 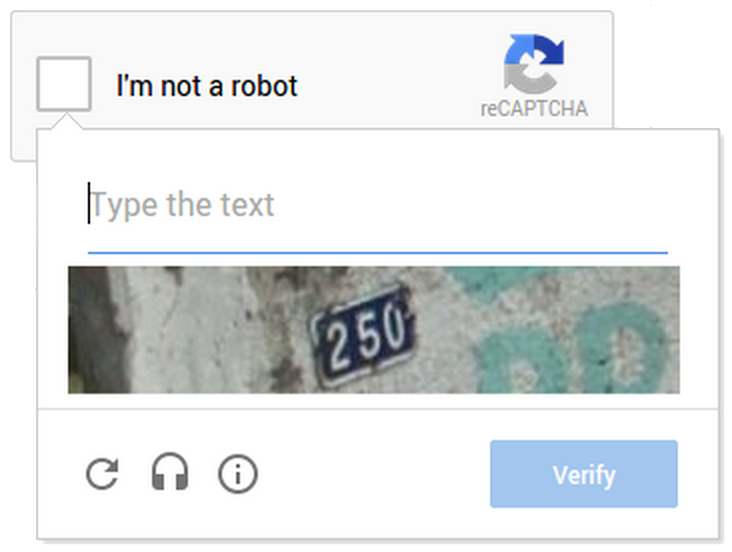 As Google today announced, those ubiquitous forms that make you prove you are human by typing in barely legible words and house numbers will soon be replaced with a single click — at least on sites that use Google’s reCAPTCHA service. For the time being, websites have the option to stick with the old experience or move over to the new API. For users, that switch probably can’t come fast enough, so chances are most sites that are under active development will switch over pretty soon. So why is Google making this switch? It turns out that the old-style CAPTCHAs weren’t all that good at keeping robots out anyway. With today’s technology, bots could solve CAPTCHAs with 99.8 percent accuracy. That makes them pretty much useless — except for one thing: reCAPTCHA was born of the idea that CAPTCHAs could be used to a) prove that somebody was human and b) help scan books. That’s because the old reCAPTCHA presented users with two words: one known one and one that OCR software had issues with. For the most part, it didn’t matter what you typed in for the second word, but once enough users typed in the same word, chances are that this was indeed the correct word. Over the last few years, Google also started using reCAPTCHA to transcribe house numbers from Street View. Given that this new version hasn’t launched yet, it isn’t quite clear what impact it’ll have, but chances are far fewer users will see these prompts and hence Google will transcribe fewer words and numbers. The classic reCAPTCHA prompt will now only appear when Google’s algorithms aren’t quite sure that you are indeed human. What this new API allows, however, is a far more flexible CAPTCHA experience. 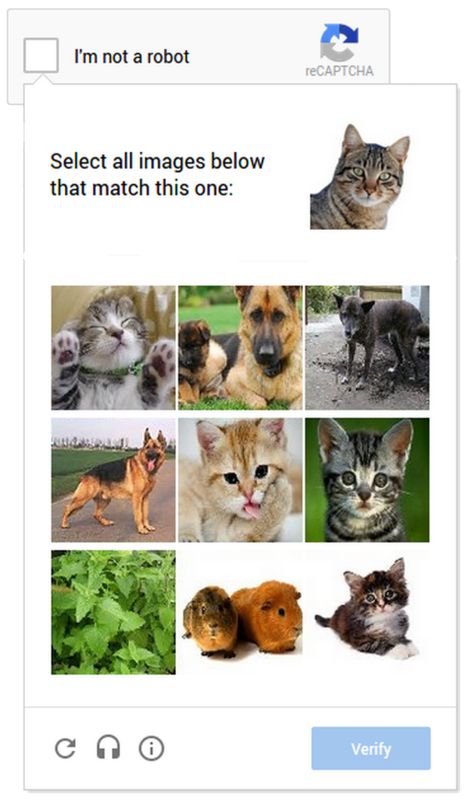 As Google announced today, for example, mobile users may soon see an image classification puzzle where they are asked to click on an image similar to the supplied one. This will help Google with its computer vision projects — something the company is probably far more interested in these days than basic OCR. The new reCAPTCHA is already live on a couple of sites, including Snapchat, WordPress and Humble Bundle.